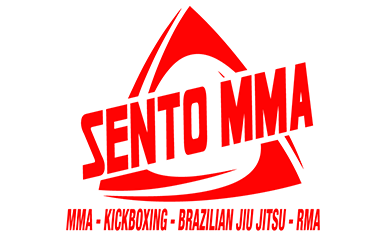 Sento MMA is owned and operated by Shihan Walt Lysak Jr. You don’t need to train at several different schools to learn Reality Martial Arts, BJJ (Brazilian Jiu-Jitsu), MMA (Mixed Martial Arts) Kickboxing/Muay Thai, Boxing and Fitness Training. We have classes in all of these right here at Sento f MMA in West Springfield, Ma. Sento MMA is one of a handful of schools that pioneered the MMA movement on the East Coast. Shihan Walt Lysak Jr. is the founder of LSM (Lysak’s Sento method) and co-founder of iCAT (Integrated Combative Arts Training) with Joe Lewis and Richard Ryan. Shihan Lysak holds high level black belts in Jiu Jitsu, Pankration and Kickboxing. He also has extensively studied Ninjutsu, Arnis, Boxing and Wrestling. He is Martial Arts Hall of Fame member. And travels the world teaching Reality Martial Arts seminars. Cutting Edge Fitness & Martial Arts Center was established in 2014 by David and his Wife Aimee. They are located in Berkshire County in the heart of downtown Adams Massachusetts. Cutting Edge’ state of the art facility features 3500 square feet of training space including a matted training area, boxing ring, bag stand with multiple types of heavy bags, training weapons, fitness equipment, Mens and women’s bathroom and changing area. They are specialized in martial arts instruction in several disciplines including Sento MMA, RMA, Boxing, Kickboxing, Joe Lewis Fighting System, Superfoot System, and Brazilian Jiu Jitsu. Cutting Edge offers classes for men, women and children of all ages. Their goal is to provide a safe, friendly learning environment for all their students. 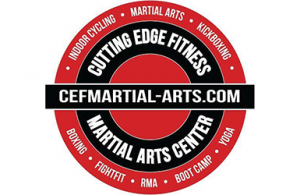 Check their website at: http://www.cefmartial-arts,com. The school is located at 73 1/2 Summer Street Adams MA 01220.